Mark Lovett has a lot of passion for producing TEDx events. He actively works on three, including one in prison. His story about that experience and what it took to build the first TEDx that was in two countries at the same time is fascinating. Mark loves the effect that a TEDx event has on the audience. His personal version of the TED motto is, Ideas Worth Doing Something About. 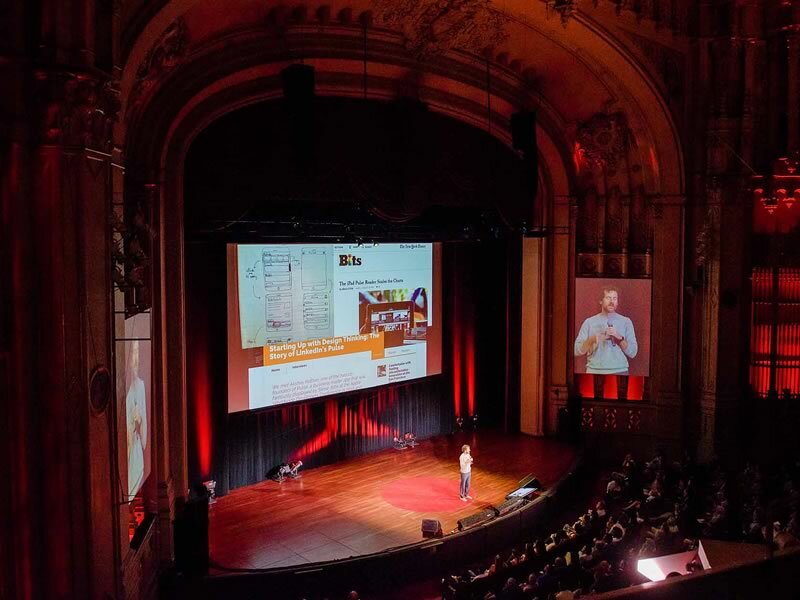 His recounting of the way his main event, TEDxSanDiego made its way to the Symphony Hall and what it was like to orchestrate a massive presence in the downtown area is an inspiration to all of us trying to think bigger. Mark’s day job is as a speaker coach. A client told him about TEDx and in 2010, soon after TEDx was able to be licensed, he produced his first event. He’s done 7 TEDxSanDiego events and 3 Salons and has attended 50+ events (look out Gordon). Everything. The event, TEDxDonovanCorrectional is in a prison. He co-produces this event. The event TEDxMonumento258 was produced in conjunction with TEDxTijuana and sat cross-border, half in the USA, the other half in Mexico. How many of your partners will step up when you need them. Finding power for his cross-border event. Mark had to string an electrical cord for 600 feet from a restroom near the venue. The venue itself was not allowed any screen, no slides, no shade, and no awnings – per restrictions imposed by the US Department of Homeland Security. You have to listen to this story. For both, build a great team, and do the math. Every action you take should be reflected in your budget. The impact they continue to have as the event grows and the brand becomes more familiar to the community. He’s particularly proud of Innovation Alley, which is what they convert the street outside the Symphony Hall to for the event. It’s populated with 20 local start-ups. Get everything you can for free. Reach out to your network for help. If it’s not free, then wholesale, and buy at the vendors cost whenever you can.